As 4th generation farmers, we understand that consumers today demand high quality meat that is free of antibiotics, hormones and steroids. That is exactly what you get when you purchase from Rocky Oak Farms. Our animals are pasture-raised in a sustainable, stress-free environment just as nature intended. Years of experience has shown us that this system produces healthier cattle, pigs and chickens and leaner cuts of quality meat. We serve customers throughout Southern Michigan from our farms in Albion and the Chelsea/Manchester area and would love to meet with you to discuss any questions you might have. Once you’ve tasted our grass-fed beef, pork and chicken we’re confident you’ll come back for more! 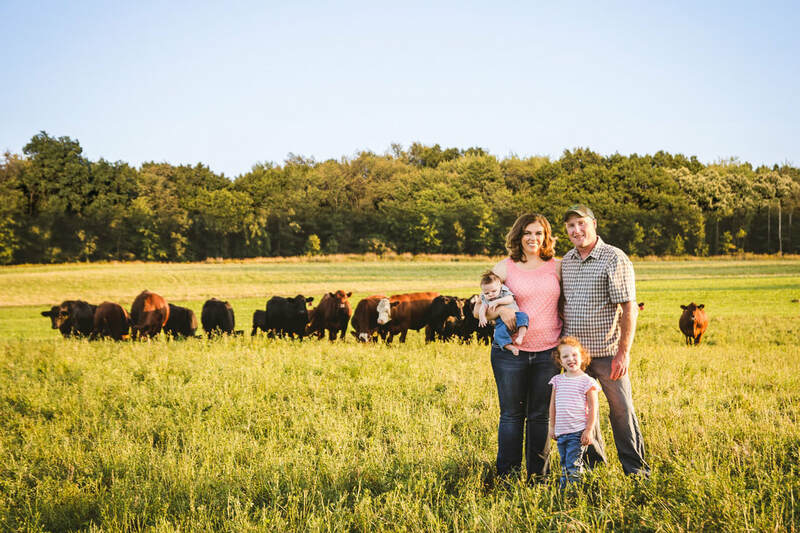 Our goal is to create quality meat that people can obtain locally and have a piece of mind knowing where their product is coming from and how it is raised. By using sustainable practices we have healthy animals, happy customers, and are creating a healthy environment for future generations. As a seed dealer we offer products such as cover crops, forages, wildlife plots, wheat, soybeans, corn and organic seed. We are very excited to offer a large variety of different cover crops and forages and are happy to go over products with you to determine what would be the best fit for your current farming practices. If you want to be included on our mailing list to get updates of new products that are available, please provide us with your email below.